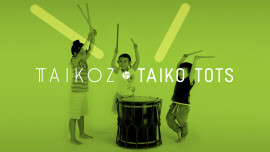 Taikoz fosters a family-friendly environment and children of all ages are welcome to begin their taiko journey with us. Weekly classes run for four 8-week terms (coinciding with school terms) and focus on playing rhythmic patterns, developing kinetic and aural awareness, and working together as a group. 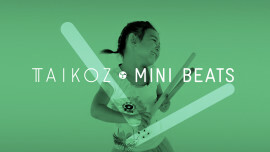 Musical games and learning short pieces of music are an important part of the younger child’s experience, while the older students concentrate more on exploring a variety of taiko playing styles, technique, complex rhythms and musical independence. 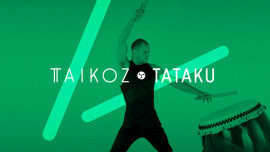 Taikoz is registered for Creative Kids and welcomes the use of the vouchers to contribute towards course fees. 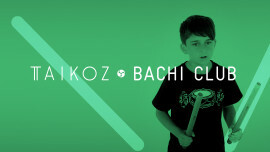 If you wish to apply a Creative Kids voucher, please type the words CREATIVE KIDS into the Discount Code box at check out, and then forward the actual CREATIVE KIDS voucher number with your child's birthdate to classes@taikoz.com with the email heading of "Creative Kids Voucher for [Name of Student]".